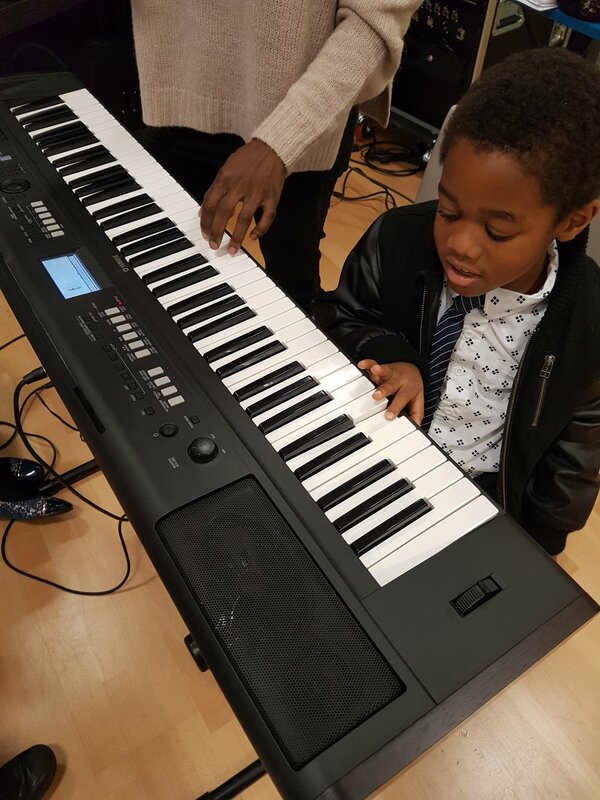 Adlib Music Tuition provides on-site instrument music lessons for all ages, with an emphasis on fun,creating a supportive environment and encouraging development of skills to make the most of the instrument. We provide a bespoke approach through initial consultation to understand and meet your musical needs and requirements. Whether you have aspirations to pursue a career, play in your local area or simply just for personal enjoyment, we can design a program tailored to your objectives. Our lessons take place at your home or venue of your choice. Callum has been playing drums for more than a decade, first learning in Canada, where he grew up. He recently completed his BMus in Music Performance with a First Class Honours, and has been teaching for the last five years. Aside from drum kit, he also teaches hand percussion, bass guitar and music theory, and his specialty is rock, prog and pop music. When he isn’t teaching, Callum plays for songwriters and function bands, and writes soundtracks for games. He started playing drums from a young age, at his local church and soon at other churches across London. He continued to work on his craft by studying at the Institute of Contemporary Music Performance, graduating with a Diploma. leading him to work with artist including Labrinth, Raphaella, RnB/Soul singer Hayley Cassidy, and RnB artists Abel Miller and Jordan Morris. All tutors are DBS checked and are professional musicians with qualifications and at least 3 years’ experience in performance and teaching. They all teach a variety of music styles. Adlib staff has had the responsibility of training our young drummers for almost a year. We have found their staff to be very effective, professional and cooperative about their task. They get along well with the children and create a very children friendly environment for them to learn. The teachers also take the time out to provide notes for the children and they are given homework on a regular basis. As a result, our children are doing exceptionally well and look forward to return to their lessons weekly. A member of Adlib Music will respond to your request. The links opposite contain affiliate links. If you buy something through one of those links, you won't pay a penny more but Adlib Music may earn advertising/referral fees, which helps to keep the website running. Thank you! Thank you! I will be in touch very soon regarding your enquiry!